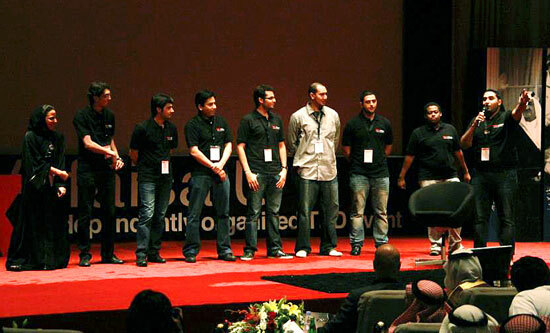 November 17th 2011, the first Alfaisal TEDx event was launched. TEDxAlfaisalU presented “The Power of Inspiration”, a full-day event where great people with great ideas came together to share big ideas. 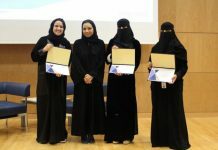 15 speakers from Alfaisal students, faculty, staff and guests with different specialties and disciplines, each one of them spoke and tried his or her best to inspire the audience to do more, to be better, and to live success. The word TED is an abbreviation for Technology Education Design, a supporting approved organization with a mission to inspire, empower, and spread the strength of ideas. What was unique about TEDxAlfaisal was; Alfaisal Students were the event organizers and planners. 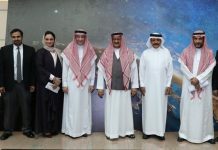 Held at the King Faisal Auditorium; the event attracted a high profile of speakers such as Dr. Khaled Al-Kattan, Dr. Waleed Fitahi, Dr. Hisham Abad, to Razan Alazzouni, Naqi Rizvi, students at Alfaisal. In a presentation that lasted 7 minutes, Dr. Khaled was depicted his journey of successful life with a speech entitled “Inspiration in Every Moment”, and he was a true stimulator to the audience who enjoyed and learned from every moment he was sharing, entertaining and interacting with the audience. Dr. Waleed’s speech was unique; as he engaged the audience by presenting 10 ways that every person should follow to be inspired. Quotes, experiences, and knowledge was shared with the audience in an active session leaving the audience with the message that no one should give up and quit, because quitting is the real failing. The event attracted students, parents, faculty and staff from Alfaisal, as well as a large turnout of students from Universities in Riyadh. KFF Senior executives also participated in the event.